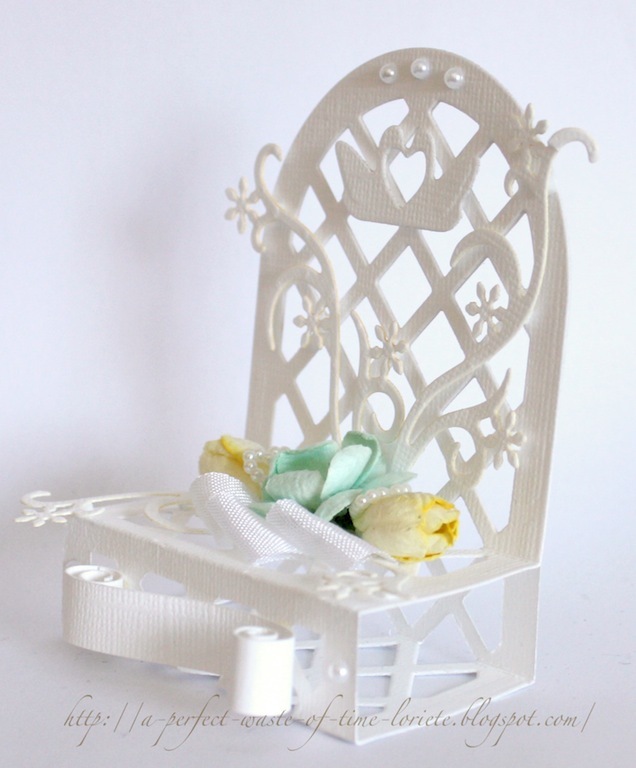 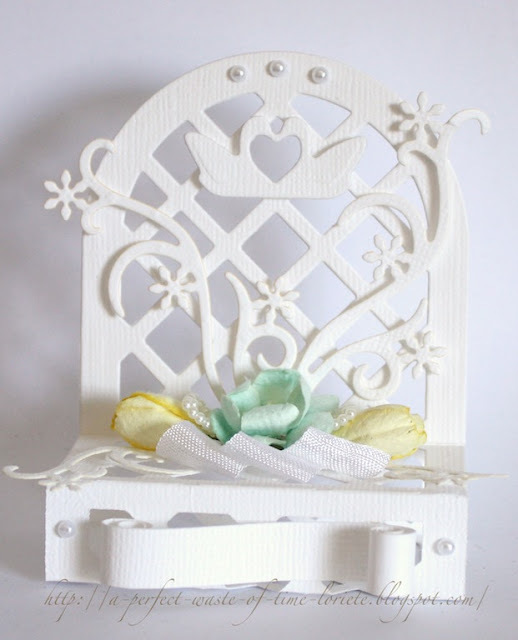 Here is a beautiful cold but very sunny Sunday outside and I am presenting you my new creation - a Wedding Chair. 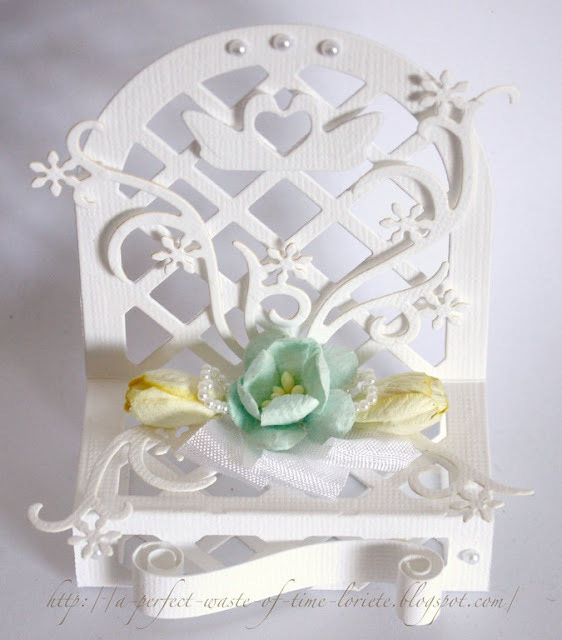 No no, not a real one, just a centrepiece for bride and groom. I am showing just one of them, but there will be two, with the names on the front of each chair on a label.